It sounds like a fairy tale. In 2005 29-year old Oliver Koletzki presses 500 copies of his underground hit "Der Mückenschwarm". One of those white labels lands in Sven Väth's record bag and whenever he plays the track, the people go wild. Shortly after techno-king Väth signs the track on his techno empire Cocoon. "Der Mückenschwarm", already considered as a techno classic - becomes the best sold techno record of 2005, the best ever selling record on Cocoon and OLIVER KOLETZKI gets voted best newcomer of the year in prestigious Groove magazine. But one would be fooled to think that this was the start of Oliver's musical career. Since he was 12 years old, OLIVER KOLETZKI has been deeply infected with the production of music. He starts out by programming Hip-Hop beats on the C64, but quickly falls in love with more electronic sounds like breakdance and synthie-pop that he produces on the first Amiga computers. When he turns 18, he also starts to DJ in his hometown of Braunschweig and quickly becomes a regular DJ in the local clubs. In 2000 he decides to move to Berlin to study music – and the excessive Berlin nightlife. He promptly lands himself DJ gigs in smaller clubs and bars, but with the release of his first record, things change for the better. In the summer of 2005 he starts to play festivals, gets booked into the most prestigious clubs all over the world and gets asked to remix the likes of Rockers Hi-Fi, Client or Cassius. However, while superstardom is lurking around every corner, Oliver stays down to earth: "I have been making music for nearly twenty years now. That provides me with a stable base for not going nuts. Basically, I am still doing the same that I have been doing for years now: making music during the week and playing out on the weekends, even if it is on a slightly different level now." In October 2005, while still riding on the success of his debut single, Oliver directly realises one of his dreams: to have his own label. 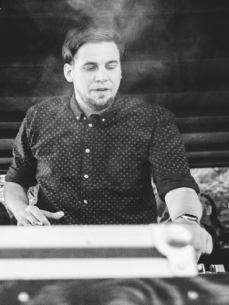 He founds Stil vor Talent, a label dedicated to pushing new artists and creating a platform for a huge variation of quality electronic dance music – from minimal techno to squeaky house to pop music. "From the beginning I wanted to give people the same chance that I've had and offer them a platform to release their music. However: the quality of the music is above everything else. Firstly, I have to like it", Oliver comments on the philosophy of his label. And he is a workaholic. He still spends hours and hours listening to demo tracks and goes out to see people play live in small clubs. Up until now, Stil vor Talent can look back on over 40 releases that include Oliver’s first artist album "Get Wasted", the über-hit "3 Tage Wach" or Oliver's latest masterpiece: his electronically influenced pop album "Großstadtmärchen". Oliver Koletzki seems to have a nose for commercial success out of the underground, which Lützenkirchens ironic afterhour manifest "3 Tage Wach" is the best example for: the track becomes the best-sold techno track of 2008. In 2009 Oliver continues this success story with the release of his album "Großstadtmärchen" – an electro-pop album featuring national and international big names such as Mieze Katz (MIA), Axel Bosse or Die Raketen as well as many newcomers such as singers Juli Holz, Pyur and Fran. With "Großstadtmärchen" Oliver has managed to achieve what only few techno producers manage can do: to produce a pop album with club credibility. The singles "Hypnotized" and "U-Bahn" get nationwide airplay on the radio and when Oliver plays them in the club people sing along to the lyrics. But he wouldn't be OLIVER KOLETZKI if he didn't want to perform the album live on stage as well. In the summer 2009 he founds his band The Koletzkis with many of his old friends and the singer Fran. They have already played live at Bar 25, Watergate and Lido in Berlin as well as in Leipzig, Bern, Hamburg, Vienna and many other cities. For 2009 they have big plans: in the summer they will play the big festivals and will put Oliver’s music out there – from the clubs into the concerts halls, from the beach raves to the open-airs.